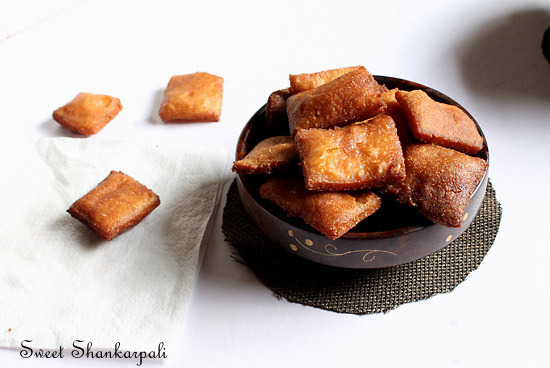 Sweet Shankarpali Recipe – is a famous Maharashtrian sweet made during Diwali. Since my growing up years we have been eating Sweet Shankarpali. I was surrounded by Maharashtrians and I know what kind of sweets they make on which occasion. This sweet is a crucial part of Mumbai Diwali Faraal. There are mainly two kind of Shankarpali Sweet and Spicy. Let me not forget to wish my readers a Happy and Prosperous Diwali. 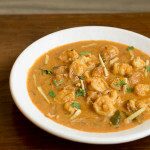 This sweet shankarpali recipe is one of my old recipe from the archives. 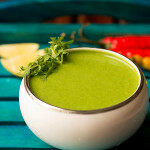 I have changed the pics and slightly modified the recipe. I have a sweet tooth and anything made with love and is a sweet stuff is my favorite. In-fact we used to eating shankarpalis even as a tea time snack. As you get them throughout the year sold in stores. Even during Christmas shankarpali is made in India. There are lot of other sweets like ladoos, barfis, kheer, chakli, chivda, sev, puris are made during Diwali festival. I am gonna soon post different sweet delicacies and savories made during Diwali. This recipe credit goes to my mom. 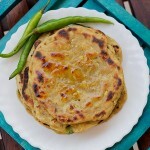 I love this shankarpali as its crispy from out and delicious from within. It’s quite easy to make this sweet. The only crucial part is standing for a long time to fry these goodies. But it’s worth all the effort. Check some more Diwali Recipes like gulab jamun, mohanthal, boondi ladoo, spicy shankarpali , phirni, basundi and nankhatai. 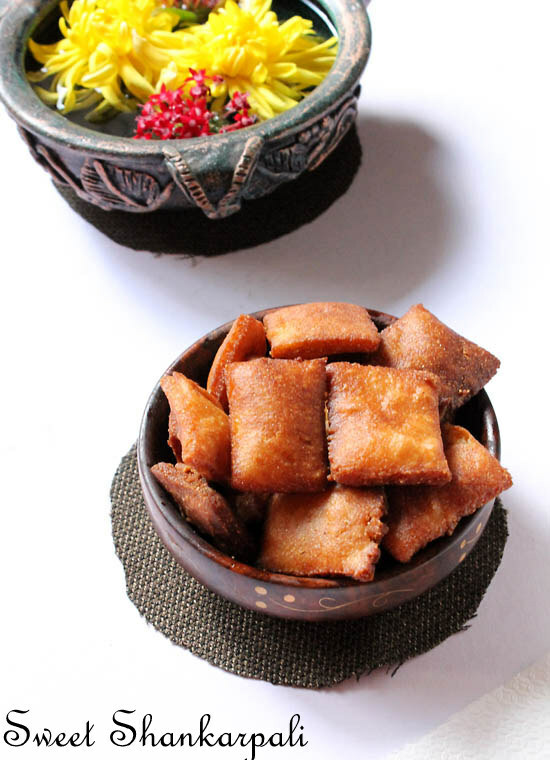 Sweet shankarpali is a traditional classic Maharashtrian delicacy made during Diwali festival. Take a small Pan heat the Dalda/ ghee and keep aside. Alternatively you could microwave it. Now sift flour, then add semolina, powdered sugar and salt. Put warm dalda / ghee. Rub the dalda with the flour through your finger. It should appear like bread crumbs. Time to add milk. Start kneading to form a soft and smooth dough. Keep the dough aside covered with a damp cotton cloth for about 10 to 15 mins. Its time now to make big balls out of the dough and roll them with the chapati roller. 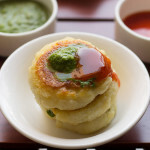 Roll them into round shape similar to a roti but keep the width about ½ inch. Take a knife and cut them into square shape. Now make vertical and horizontal lines each measuring more than a inch square. Alternatively you could cut them into diamond shape. Heat oil in a kadhai once the oil is hot add the shankarpali to it ensuring gas is on low flame. Once the shankarpali are nice golden brown remove them. Repeat the same procedure with the remaining of the dough. Serve yummy Shankarpali on a platter with other Diwali sweets to your loved ones. Store them into an airtight container. This should last for about 10 days. 1. The dough should be kneaded well and should be soft and smooth. 2. While rolling the dough dust some flour to roll evenly. 3. 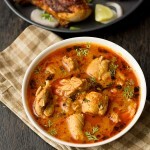 I have used dalda you could use ghee Or oil. 4. Once its fried allow them to come to room temperature. Now store them into an airtight container. Should last for more than 10 days. It can be store till 1 month?? Its 500gm maida and 250gm semolina..
Rupali you also use use 1 cup of hot oil/ghee/dalda so 1/2 cup milk is enough. However if you find the dough still dry then add little more milk. Hope I have helped you thanks. Do let us know how the shankarpali was? Thankyou so much Amruta 🙂 glad to know your shankarpali came out khushkhushit. Sometimes due to over frying also they tend to be dusty. Hope this help’s you. thankyou punam semolina gives a nice crunch to the shankarpali the right word in Marathi would be khushkhushit so do try and let me know how it was? Hey maria one of the best shankarpalis I tried till date its crispy and soft at the same time. 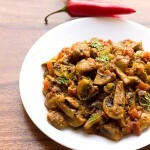 I have also tried spicy shankarpali and they were great. Will make them again during Diwali had tried a small batch first …thankyou so much. Thankyou Rose for your positive words and your 5 star rating 🙂 pleased to know you liked both the shankarpali the spicy and also the sweet one. Surely try and wish you Happy Diwali in advance. I’ve been trying ghee for deep frying. and it used to come out very greasy. but next time I will try oil for frying. I think that is where I was losing out. Surely Arpita try and let me know how it turned out??? Monica you are always welcome 🙂 do try and some keep posted.